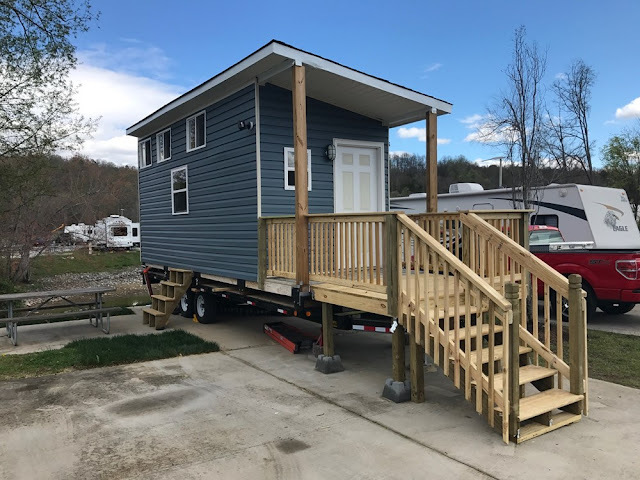 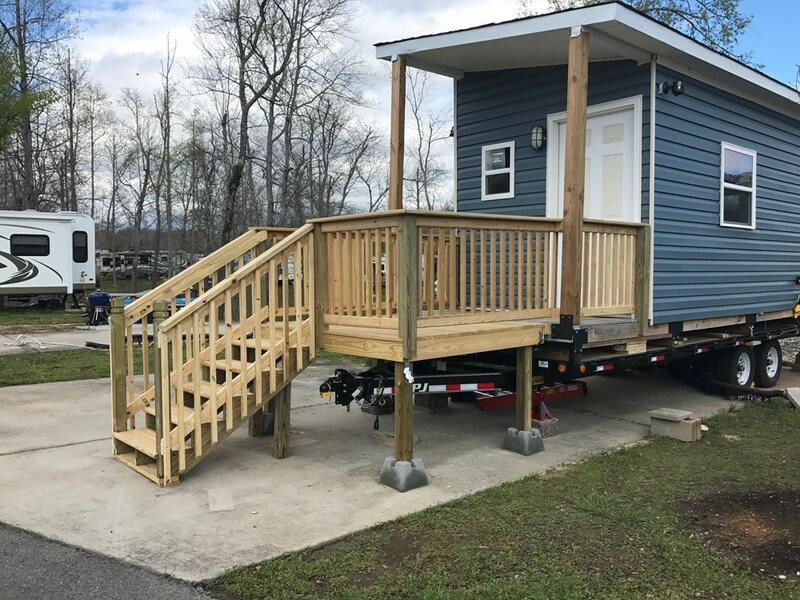 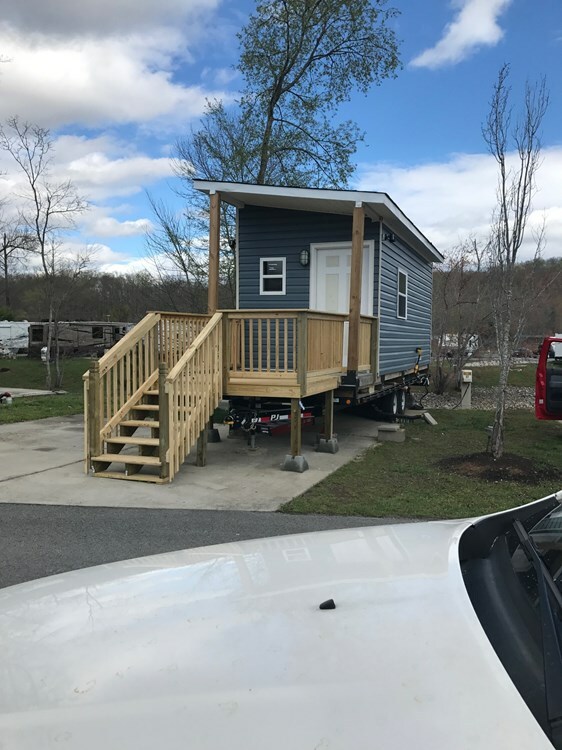 This beautiful, blue tiny home is currently available for sale in Harriman, Tennessee! 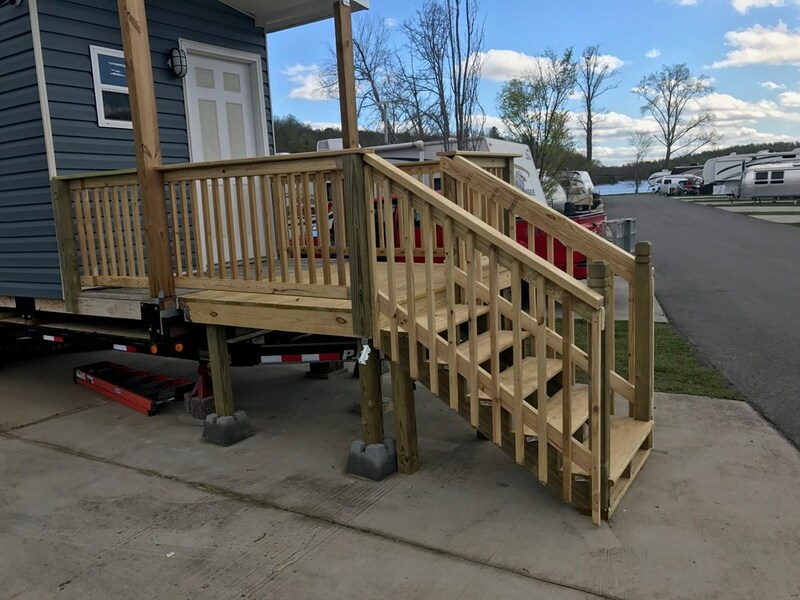 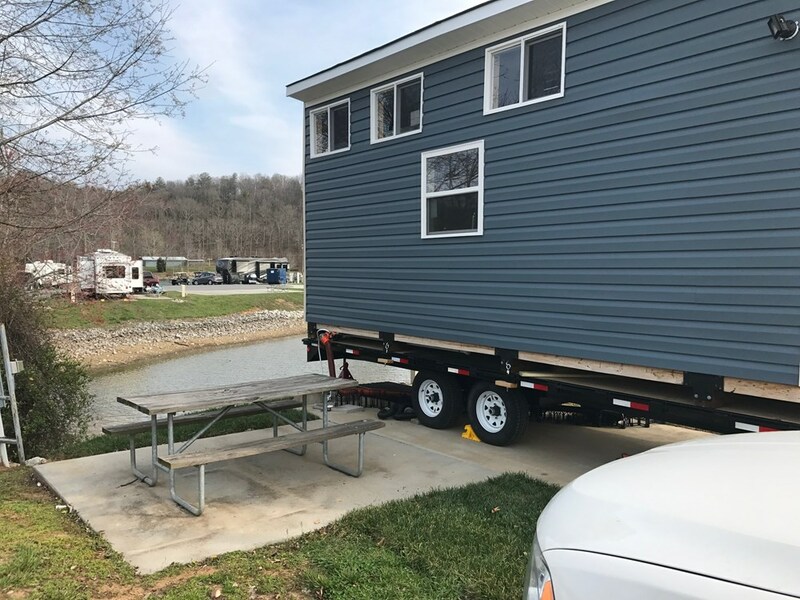 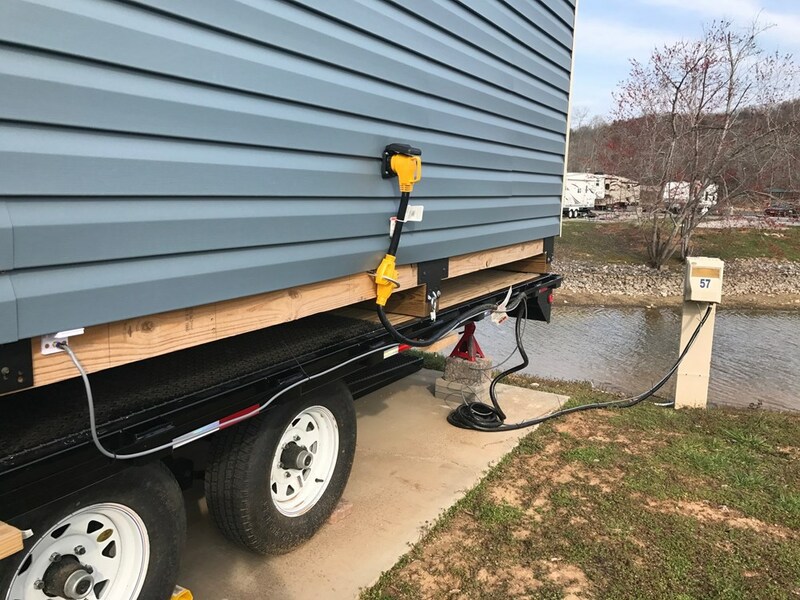 The home is built onto a custom deckover flatbed trailer and can be parked as is or placed onto the ground. 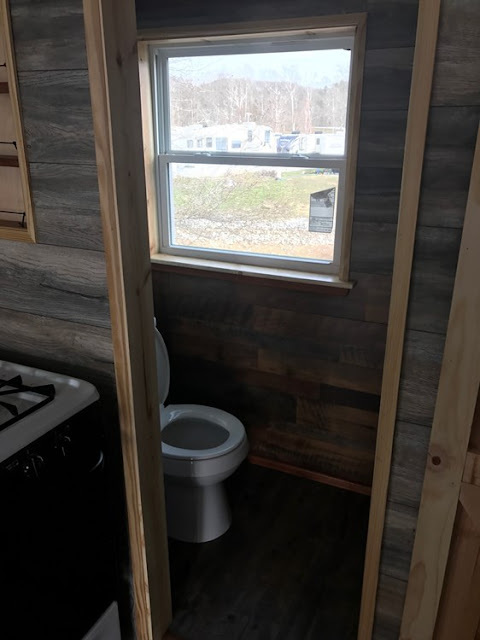 Its rustic interior features warm mahogany walls and trim with a loft bedroom, a second loft for storage, a living room and a bathrom. 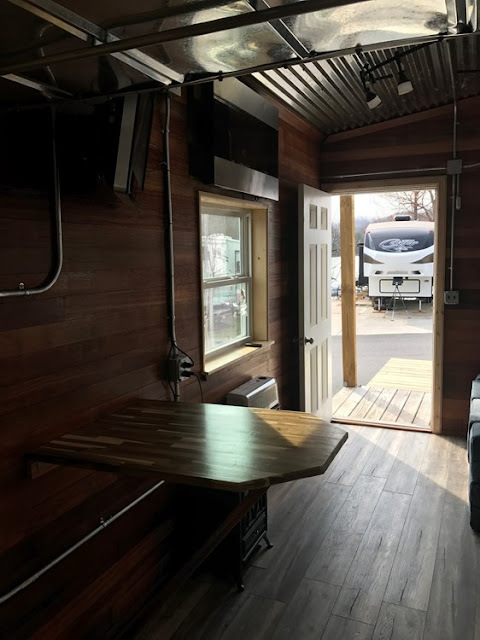 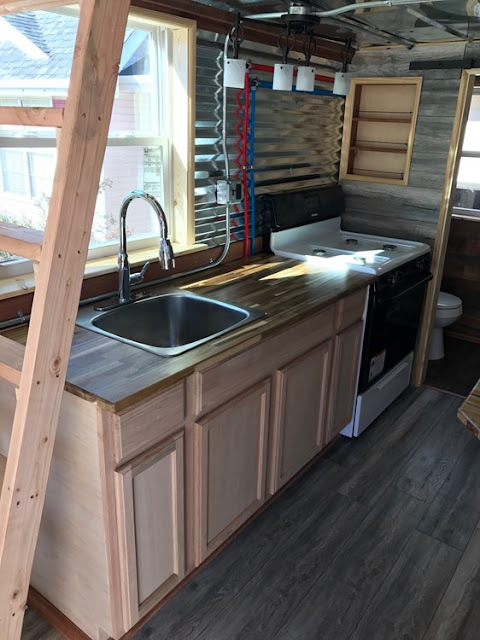 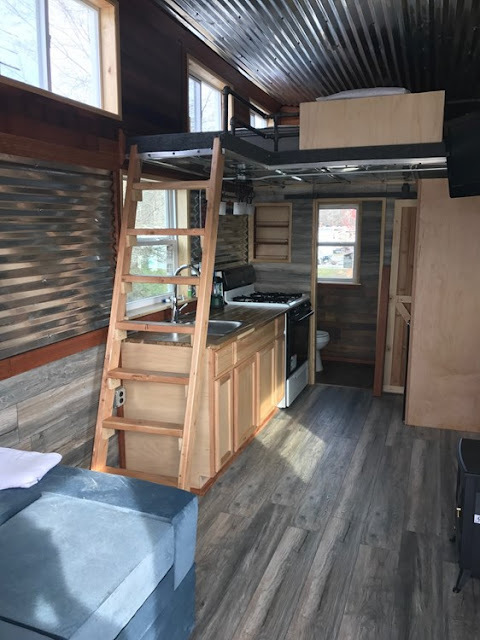 There's also a full kitchen with a fulls-sized propane stove, a fridge, microwave, oak cabinets, a stainless steel sink, acacia butcherblock countertops, and a cantilever table. 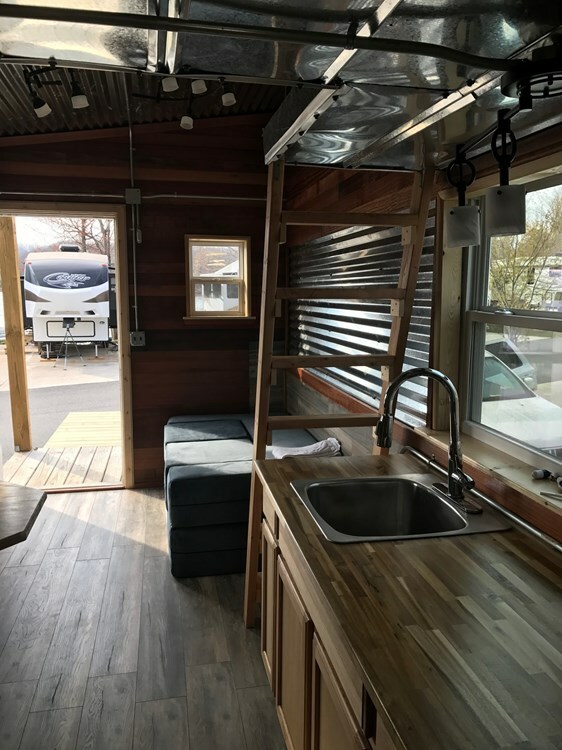 There's also a full kitchen with a full-sized propane stove, a fridge, microwave, oak cabinets, a stainless steel sink, acacia butcherblock countertops, and a cantilever table. 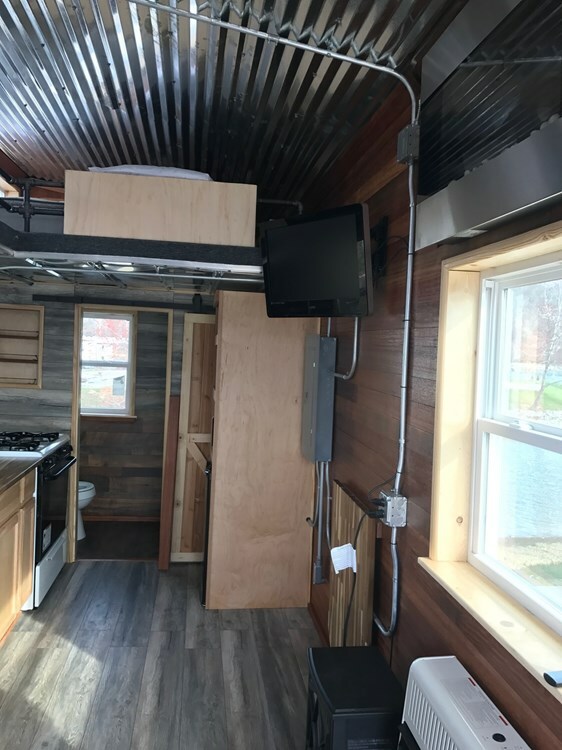 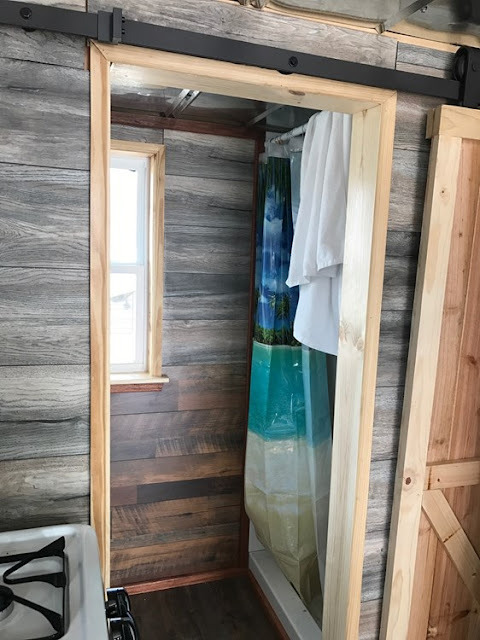 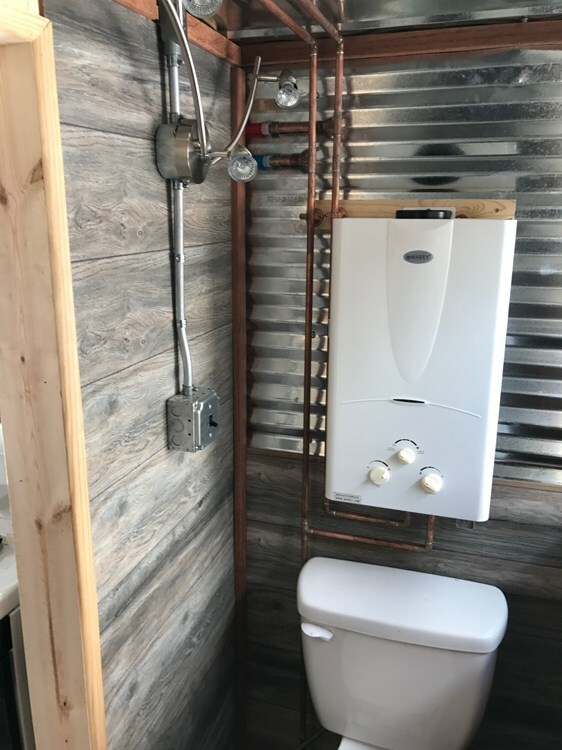 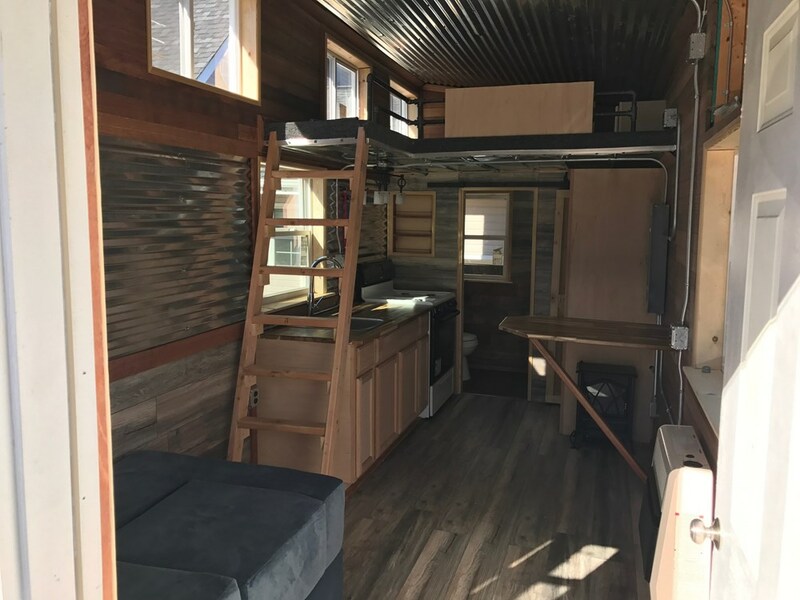 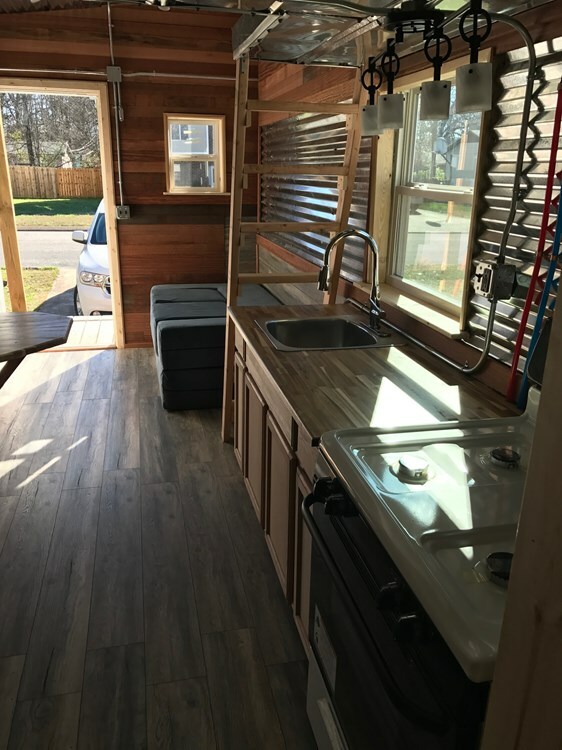 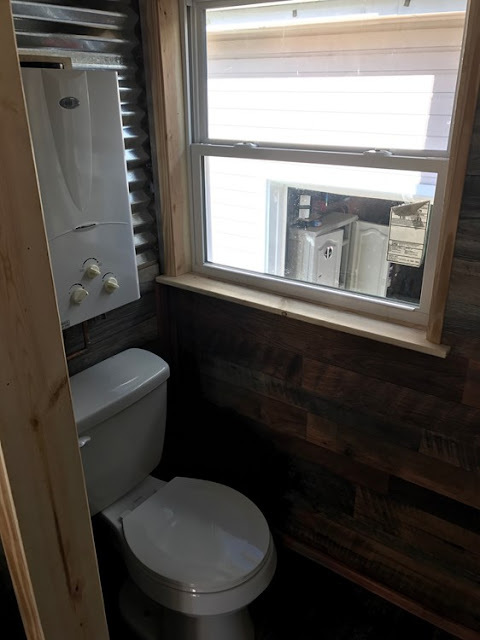 It's currently listed here on TinyHouseBuilders.com for $55,000!